Korcula Property, real estate for sale on Island of Korcula! Korcula Property is dedicated to offer widest range of real estate on Croatia island of Korcula available. Our aim is to serve all possible buyers of real estate on Croatian coast and to show why island of Korcula should be on top of their list for property location in Croatia. Korcula Property will strive to be at clients service in all possible ways whether they are buyers or sellers of real estate on island Korcula. Thank You and we are looking to help You in acquiring property on beautiful island of Korcula. Korcula Property carries the widest selection of old stone houses and recently built family apartments on island Korcula. Many properties are close to the sea and if property is first to the sea it may have higher price. Especially attractive are old stone houses, which are very rare and therefore are sold as soon as offered. Beside being usually very close to the sea old stone house gives You a lot of room for Your renovating ideas. Recently, many foreign buyers are looking even away from the sea. There are couple of villages (Cara, Smokvica, Zrnovo, Pupnat.) on Korcula inland which look magnificent; situated on a slopes of forested hill and full of stone houses, some even centuries old. There are many secluded little bays with pebbled beaches and only a couple of properties. Korcula Property carries the largest selection of building land plots on island Korcula. Many properties are close to the sea and if property is first to the sea it may have higher price. 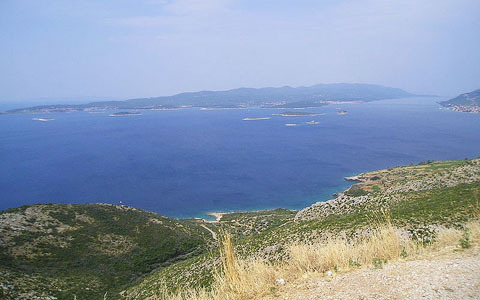 Especially attractive are larger land plots which are very rare on Korcula island and therefore are sold very easily. Some magnificent locations are still in our offer and prices for building land plot can still be very affordable on Korcula island. Land plots are sold mainly for further developments, so a lot of caution is required before purchasing to make sure that required development is allowed by authority. Korcula Property has available all the building plans for the whole island so our clients can be sure they will get what they are looking for. 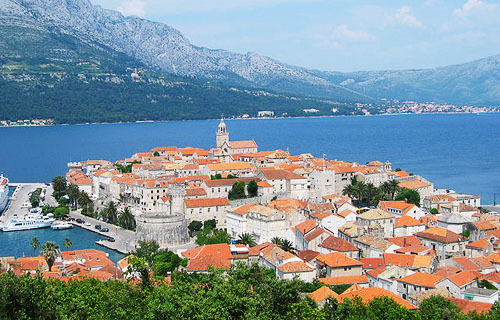 Korcula Property has a couple of hotels for sale on island Korcula. One is a beautiful centuries old stone building on the edge of the sea. There is also a 89 rooms hotel on one of the most beautiful parts of the island Korcula. These properties are heavily under priced and owners are even ready to negotiate about the final price. There are not many commercial properties on Korcula. Those that are on sale are usually very expensive, especially if they are around old Korcula town.